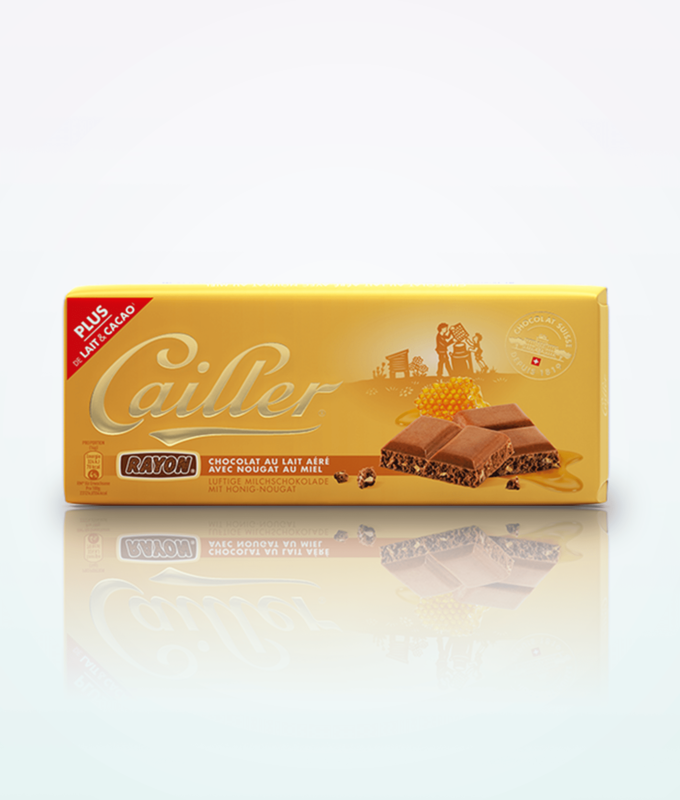 Rayon Milk Chocolate Cailler with Honey Nougat 100g. 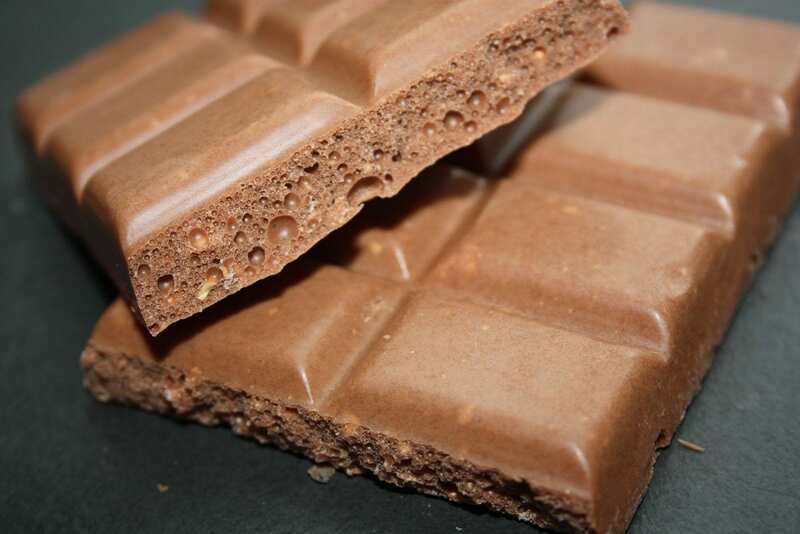 Milk chocolate with honey nougat. Rayon, light as a cloud made from milk chocolate with almond and honey chips, drifts across your palate, its multitude of air bubbles giving a feeling of sweet light-heartedness. Cailler – the oldest Swiss chocolate brand. Cailler produces the finest chocolate creations, using just the finest ingredients: fresh and high-quality Alpine milk from local dairies, sustainable cocoa and in-depth knowledge of chocolate making. 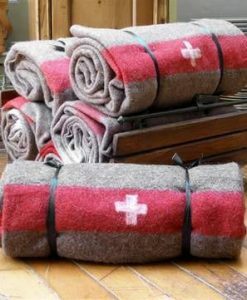 The package is suitable for every occasion. Cailler Rayon Milk & Honey Chocolate is perfect sweet enjoyment for you and your friends and family. Milk chocolate with honey nougat. Rayon, light as a cloud made from milk chocolate with almond and honey chips, drifts across your palate, its multitude of air bubbles giving a feeling of sweet light-heartedness. *GDA (Guideline Daily Amount): Guideline based on a daily nutrition of 2000 kcal for an adult or 1800 kcal for a child.